Use reasonable image file size (here are wordpress plugins to optimize images). Use popular and reliable photo sharing hosting (e.g. Flickr is reported to help in Yahoo! image optimization). Create animated GIFs: They go hot easily! People pay more attention to a clear image where they can see details (choose high quality images). (Clean, clear) faces in an image get more eye fixation. (don’t use abstract images too often). Keep them relevant: images are not the first thing a visitor sees on a web page but they can compel him to stay (according to the eye-tracking research web text is prior to images; when looking at a printed article people see images first; with web page they see text first – nevertheless images make the visitor stay and remember the page via relevant associations). Women are more interested in images with more than one person. How to find images online. A Guide to Finding and Using Incredible Flickr Images – describing (1) which Flickr images you are allowed to use; (2) tactics to quickly find best images. Any tips and tools to add to this clutter-free checklist? Please add them in the comments! So Many Smart People in Such a Beautiful Place! Thanks Ann. I’m still new to SEO and your posts have helped me gain clarity on many questions that I have been having. This is quite helpful since I’m not very familiar with optimizing images properly and I’m testing these tips on a few sites. Thanks for the information I am new to this SEO stuff and this has helped alot. I am going to read the rest of the articles so that I can raise my ranking and drive more traffic to my site. High Ann, thanks for the article. What are your thoughts on geo-tagging images for local SEO? 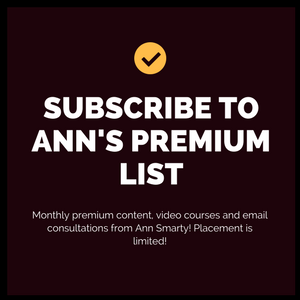 Ann, thank you for existing to help us with your optimization tips! Very good. Picasa is a great tool for image optimization, especially for your local seo clients. It can add a geo location tag to any photo you choose, even multiple photos. Lets say you’re working with a moving company and they have stock photos they want to use. If they’re based out of boston, you can select a geo location in Boston and attach it to all the photos used on the website. Google will be able to read that data and in turn make that site more relevant to movers in Boston. Hi Ann, thanks for this great post. Right before I read your article I found another one which brings up the topic of Goolge’s WebP image format (for further infos I read it here: https://wpressmag.com/image-optimization/). Actually I think this post is really bad written, I just don’t get the point of the author. Can you explain me a better the pros & cons of the WebP format? Really optimized images really help the blog and major point in seo.. optimized images help faster page to load and alt text is an SEO part where most of the bloggers failed to add this.. very nice info published.. thanks. Very useful post and thanks for your Social Image Resizer Tool; one more tool in my arsenal. (+) PicResize to resize pictures, e.g., creating thumbnails, etc. Off to share your article! You have shared such an informative blog post with us. Really optimized images help to the SEO. I have saved your page in my bookmarks list. Thanks for this tips! Great additions, Steve! Thanks so much! I was confused about image optimize. Now I have clear idea about image optimization. Great informative Blog post. Thanks for sharing this information with us, about optimizing images for search engines and social media. Another important thing is that infographics image sharing is one of the fine example of it. Its currently a hot method of getting backlinks and traffic. Hi Ann, thanks for the great article. I’m curious to know… have you found any difference in different file types when it comes to optimising. For example jpegs versus png files? I always seem to find that the jpegs for whatever reason rank better. I’d be interested to get your thoughts on this? Hey Ann, This is an awesome article you’ve written! or should they generally be the same to achieve a better effect? Thanks for the article Ann, well written! I think Image SEO is going to get more and more popular. Any visual content obviously gets more traction than plain text but lately I have been seeing this within local searches too. Images have obviously always been a part of searches related to product names and reviews, but recently I have noticed some of my client’s keywords show an image carousel as well on the first page. For example, one of the clients offers a particular service for celebrities, I suppose because of the word “celebrity” in the keyword, Google shows a carousel of images of celebrities with the local service providers. So how amazing would it to be use strategies like the ones you have outlined above and get my clients in there… a much better addition to their site ranking I think! Great article. I actually like to create my own images on Canva.com. I use a combination of Canva and freepik.com to create amazing images that I use for both Facebook ads as we.l as infographics. Hey Ann, I’ve been GEO tagging all my images lately for my own website to help rank for my location. What are your thoughts on the titles of the images? Do you still have to be careful not to over optimise? Thanks again for this great article! Thanks Ann for your excellent and very useful post with so many details and tools to use. SEO for images is as well very important for all websites owners. Great informative article to better explain image optimization. Love this. Do you think description is an important thing to do for optimizing your picture even more? I know alt tag is huge and file name, but no one really talks about description. Thanks. Yes, thats it Ann. Thanks so much! Those ALT tags can be tricky to do right… gotta be a bit more spread out with them.. use a bit of LSI that makes sense. Hi Ann! It seems like image optimization is never ending. I am wondering if you have any tips for a gallery page where there are many images with little content. Thanks! Hey Ann would you use different alt on all images or repeat it on some? Also do you think image geo tagging works for local or not? This is a very in-depth article, I was very curious about the gender-specifics, insightful, thank you! Though I do have to ask something I have asked perhaps half a dozen article authors today – how unique do I need the image titles (the ones specified in WP Media Library as well as actual file names) to be if I am uploading a batch of images from one photoshoot to be displayed on a single page? Must I use numeric sequence? How about alt texts, can it be potentially damaging to use similar or same alt texts for similar images? I have done some research myself using online tools (I am a newbie at this whole SEO technical thing), but was unable to draw proper conclusion on my own. Hey Ann, I am very lucky to be able to visit your blog, and get additional knowledge, how to optimize the image by placing ALT. not a new thing indeed but I have not noticed it, and I just realized it when I visited here. Thanks for the WP plugin , added it to my site to optimize my images ! 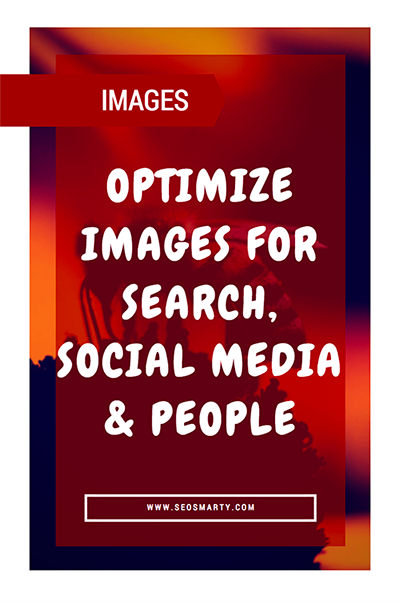 Great post Ann, it’s really a useful guide to optimize images and improve website’s performance. Plugins are a great way to reduce image size and compression. I checked the list of plugins, they are surely prominent to use. Your process is brilliant and beneficial for anybody to improve the website’s SEO score. I think this manual process will also help to improve image size and optimization. Whenever I try to find some articles that could help me do my SEO job, I usually check the date when it was posted. But this article from 2017 is still one of my best go-to article for image SEO. Thanks. These tips on image SEO are very interesting. You did a good job. In this informative blog, I learned a lot how to optimized Photos. Great post Ann, thank you for the tips! Image SEO is important especially for an e-commerce websites that sell products online, it is important to have a clear, concise image in the correct dimension and proportion and should load quickly. HI Ann. If i use 12 images in my page, do i have to submit alt text for all the images , or if i do for 5 to 6 will be fine?